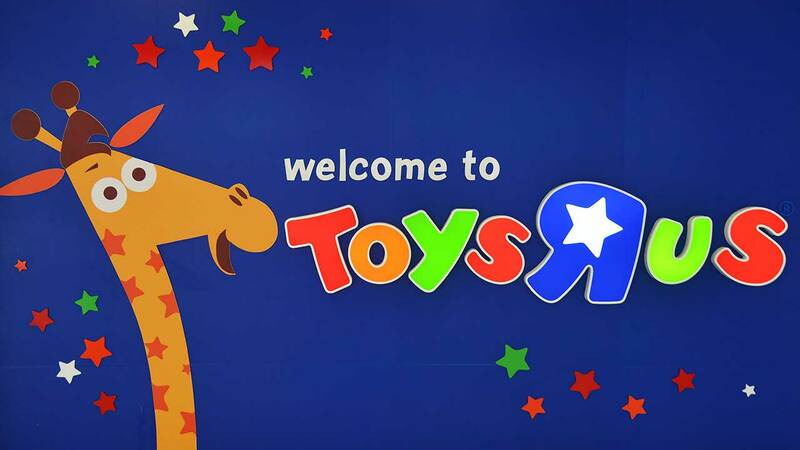 NEW YORK -- Toy company executive Isaac Larian and other investors have pledged a total of $200 million and hope to raise four times that amount in crowdfunding in a bid to save potentially more than half of the 735 Toys 'R' Us stores that will go dark in bankruptcy proceedings. The unsolicited bid faces a number of hurdles like finding other deep-pocketed investors, as well as getting a bankruptcy judge to approve such an unusual plan. It is the first known plan to keep the Toys 'R' Us brand alive. The long-shot bid would be a huge benefit to Larian. Nearly 1 in every 5 sales made by Bratz doll-maker MGA Entertainment, where Larian is CEO, is rung up at a Toys 'R' Us store. Toys 'R' Us begins liquidation sale. Tamala Edwards reports during Action News Mornings on March 22, 2018. Larian says he and the other investors, which he declined to name, believe that saving part of Toys 'R' Us will be good for the toy industry, customers and workers. The announcement last week that Toys 'R' Us would be lost generated an enormous outpouring of nostalgia. #SaveToysRUs became a trend on social media. The group now trying to save a remnant of the toy chain is hoping that with Toys 'R' Us on the brink, it can reach its goal of raising $1 billion in funding. The website savetoysrus.com directs consumers to a GoFundMe campaign to do that. Toys 'R' Us sought court approval last week to liquidate its remaining U.S. stores, threatening the jobs of some 30,000 employees and spelling the end for a chain known to generations of children and parents for its sprawling stores, sing-along jingle and Geoffrey the giraffe mascot. The store has an iconic place in American culture, said Larian. "We can't just sit back and just let it disappear." Toys "R" Us plans to liquidate all 740 US stores. Gray Hall reports during Action News at 4:30pm on March 15, 2018. How could Larian save a store that has labored to remain relevant in the age of Amazon.com? For one thing, Larian would be free of the $5 billion in debt that hampered the current owner of Toys 'R' Us. The other reason is self-preservation. The toy industry needs a national presence like Toys 'R' Us, where designers can get real world reaction to new toys that children pull from shelves. The demise of Toys 'R' Us will have a "devastating effect" on the toy industry, said Larian, who believes that 130,000 U.S. jobs could be lost when layoffs at suppliers and logistic operations are included. A total Toys 'R' Us liquidation could mean layoffs at an MGA plant in Ohio that makes the Little Tikes toy vehicles. That brand accounts for 25 percent of MGA total sales. Trouble at Toys 'R' Us has already shaken big toy makers like Mattel and Hasbro. MGA, based in Van Nuys, California, is the world's largest privately held toy company. The planned liquidation would have a bigger impact on smaller toy makers that rely more on Toys 'R' Us for sales. "People do not realize the hole that can't be filled by other retailers," said Larian. "The pipeline is too big." If as many as 400 stores can be saved, it is Larian's hope that a third of the 130,000 jobs he sees as lost could be rescued. The shuttering of Toys 'R' Us stores in coming months would be the final chapter of a company undercut by shifting currents that range from online shopping to mobile games. When it filed for Chapter 11 bankruptcy protection last fall, Toys 'R' Us pledged to stay open. But in January, after what CEO David Brandon called a "devastating" holiday shopping season, 182 stores were marked for closure. Last week, a total liquidation was announced. Toys 'R' Us will likely liquidate its businesses in Australia, France, Poland, Portugal and Spain. It's already shuttering its business in the United Kingdom. That would leave it with the stores in Canada, as well as in central Europe and Asia. It operates more than 700 stores outside the United States.